Macular degeneration is one of the most common causes of vision loss in adults, even though experts do not know exactly what the cause is. 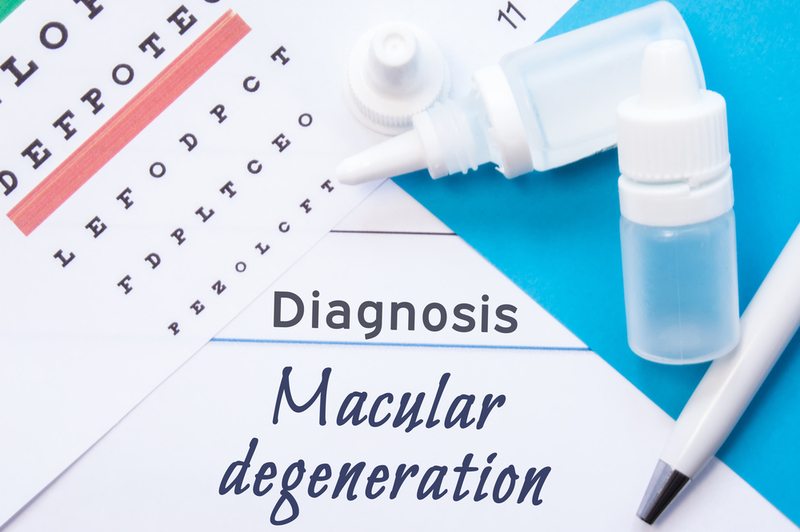 While there is no cure for age-related macular degeneration (AMD), there are numerous things you can do to reduce your risk of developing the irreversible condition. First and foremost, it is imperative you visit your local eye doctor for a comprehensive eye exam at least once a year. Early detection is absolutely key to catching and stopping AMD before it turns into a much more serious version of itself. While these signs may help you catch AMD before it progresses, the best way to detect it is through a comprehensive eye exam. Macular degeneration affects more than 10 million Americans, making it the leading cause of vision loss. This incurable eye disease occurs when the central portion of the retina begins to deteriorate. The macular – or the retina’s center – is responsible for focusing central vision in the eye while also controlling how we read, focus on objects and faces, drive, and see objects in detail. When the cells of the macula begin to deteriorate, it can lead to blurred vision and complete vision loss over time. To learn more about what you can do to prevent macular degeneration, please contact First Eye Care DFW today.